How many times have you returned to your room after a late night, in a hurry to use the john, and the key doesn't work? You go back to the front desk, and they give you some story about how you must have put your cell phone next to it. Meanwhile, they are snickering at your discomfort... did you ever notice that your hotel key only gets "erased" during the day? That's because when you checked in, the clerk for some reason (perhaps they like to jerk people around?) did not punch in your entire stay onto the key. The magnetic pass code is invalid at noon the day of your checkout (otherwise you could return and use the room again for free). 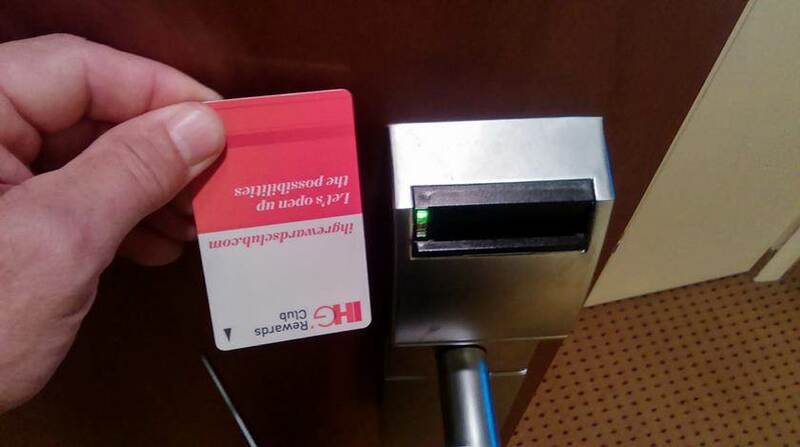 What started all that that talk about a cell phone erasing a hotel key, and is it possible? Not that long ago when Blackberry was the only smart phone on the market, it had a little magnet in the phone that told it when it was in its nerd holster. Magnets=bad when it comes to magnetic strips. This started the urban legend, in my opinion. It comes comes out of that microwave with that magnetic strip heated up (high loss tangent?). But it still works. If 500 watts of continuous wave doesn't erase your hotel key, your cell phone's EM radiation won't either. What about magnets in today's cell phones? Are there any? Did you ever wonder how that compass app works? There is a chip in your phone which contains thin-film strips of magneto-resistive material (permalloy) that changes resistance when exposed to the earth's magnetic field (in three axes!) How much magnetic field does it throw off? I don't have an exact number, but it is exceedingly small and your hotel key laughs at its weak field. However, there are one or two magnets in your cell phone that are pretty strong. This should be an IQ test or an interview question - do you know where they are? They are in the speakers! You can use a small compass to play around with them, and note that the north pole is on one side of the phone and the south pole is on the flip side. I could not erase a key by placing it over the speakers of my phone, just put your key on top of your cell phone near the speaker overnight in order to prove that to yourself. 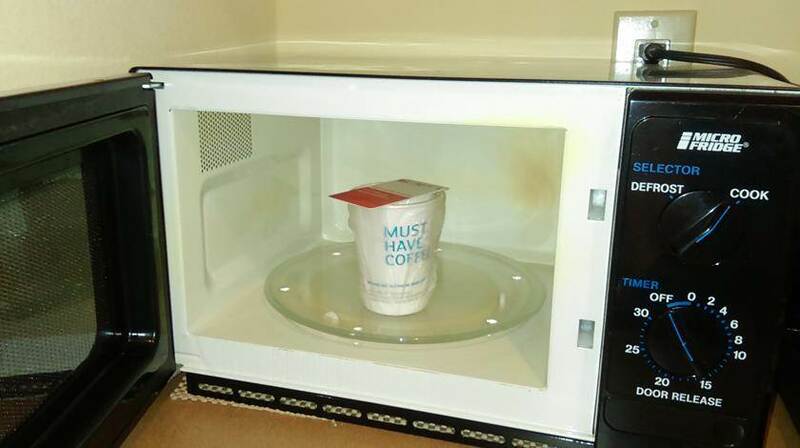 The management of Microwaves101 takes no responsibility yada yada... If you manage to actually erase a key with your cell phone overnight, please tell us about it! The next time your hotel clerk says you erased your key with your cell phone, ask to see the manager. Tell them you want a free night for being locked out, because their employee failed to program your key correctly for all your entire reservation. They will probably refuse this request unless they judge that you are so mad they are in physical danger. Then when you get your new key, lead them to the breakfast area, let them watch you cook it for 30 seconds, and tell them you have now "burned in" the code so you can open the room for the next 10 billion years, assuming no one throws it out or that the sun doesn't explode. Want to play the joker and erase your buddy's hotel key? 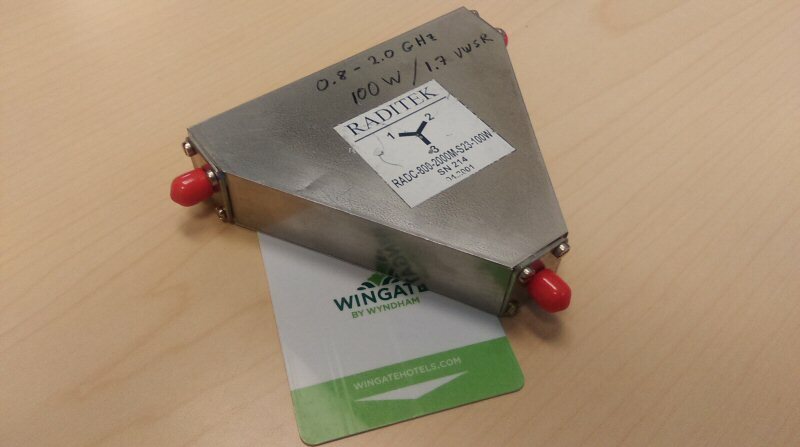 Try using a microwave circulator, the magnetic field is considerable and it never fails to erase any product that uses magnetism for data storage. Don't ever drop a circulator into a backpack that contains your laptop!